-Dr. Tadessa Daba, Director of Agricultural Biotechnology Research, EIAR. 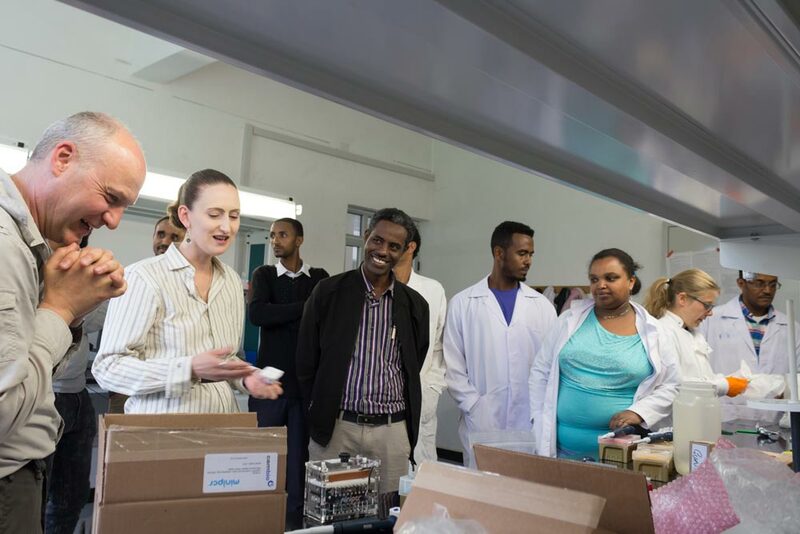 A new revolutionary mobile lab set-up created by the Saunders lab of the John Innes Centre is being trialed currently at the Ethiopian Institute of Agricultural Research (EIAR) in Holeta, Ethiopia in collaboration with CIMMYT. When we seek advice for illness, a medical professional investigates the symptoms, identifies a cause, carries out tests for validation and from that diagnosis the best treatment is advised. 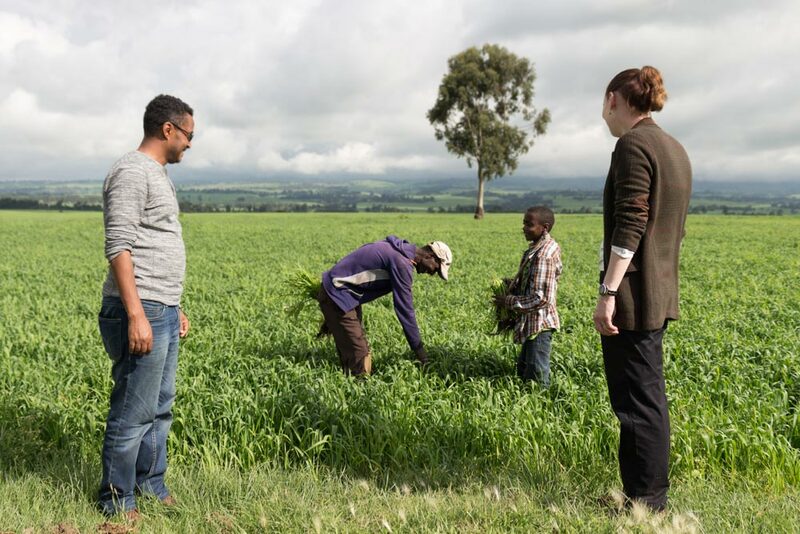 If you are a developing world farmer and you suspect your crops have fallen victim to one of the many rising diseases affecting modern agriculture, identifying what exactly has infected your field and which strain it might be can take many months, often by which time it is too late. 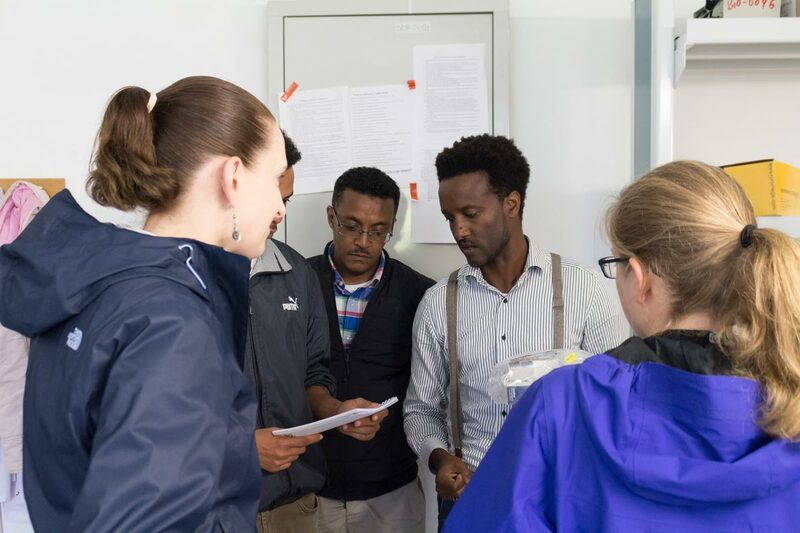 The opening trials with EIAR will be identifying individual wheat yellow rust strains, a fungal pathogen that causes a major disease of wheat worldwide and also affects wheat crops in Ethiopia, the largest producer of wheat in Sub-Saharan Africa. In the last decade, new yellow rust variants have emerged that are adapted to warmer temperatures, have expanded their ability to infect different wheat varieties and are more aggressive than those previously characterised causing a serious threat to global wheat production. Improved surveillance and diagnostic systems are essential in responding to the threat of such crop diseases. 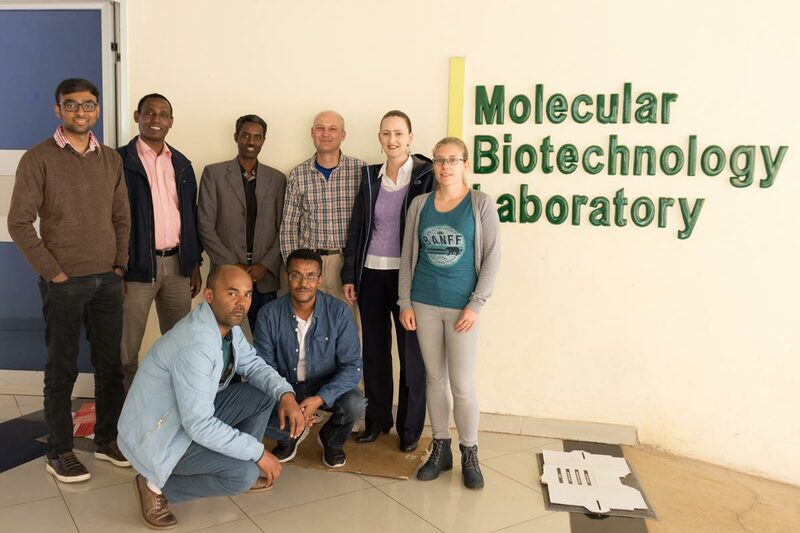 Arriving at the EIAR biotech labs with Agricultural Biotechnology Research Director, Dr Tadessa Daba (back, third from left). With recent advances in DNA and RNA sequencing, bacteriologists and virologists are capitalising on these technological advances by integrating high-resolution genotypic data into pathogen surveillance activities. However, the application of genomics to emerging complex plant pathogens has fallen behind. 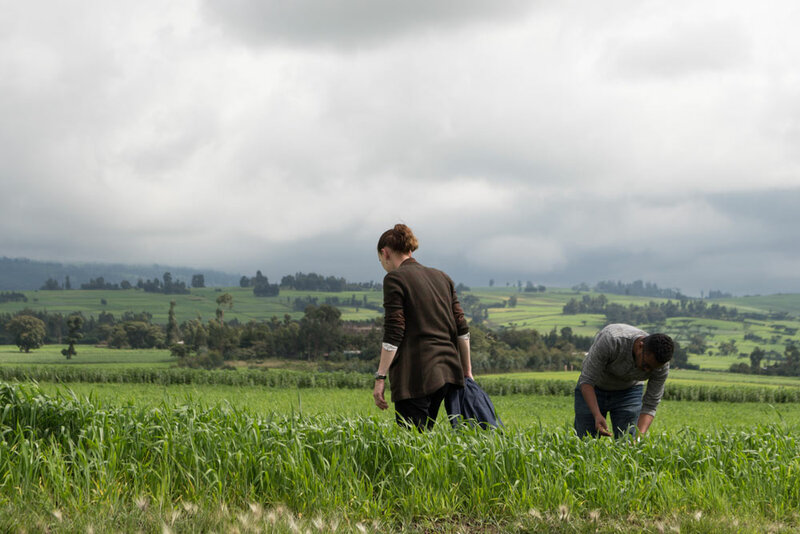 Due to their large genomes and frequent inability to be cultured independently of their plant host, this has set-back the translation of genomics technologies into surveillance and diagnostics methods. Following on from previous pioneering advances in the Saunders lab to establish genomic-based surveillance for complex fungal pathogens, the team are sequencing the genetic make-up of infected wheat plants using the MinION sequencer. This palm sized platform for DNA interpretation for the first time offers the possibility of sequencing becoming mobile. 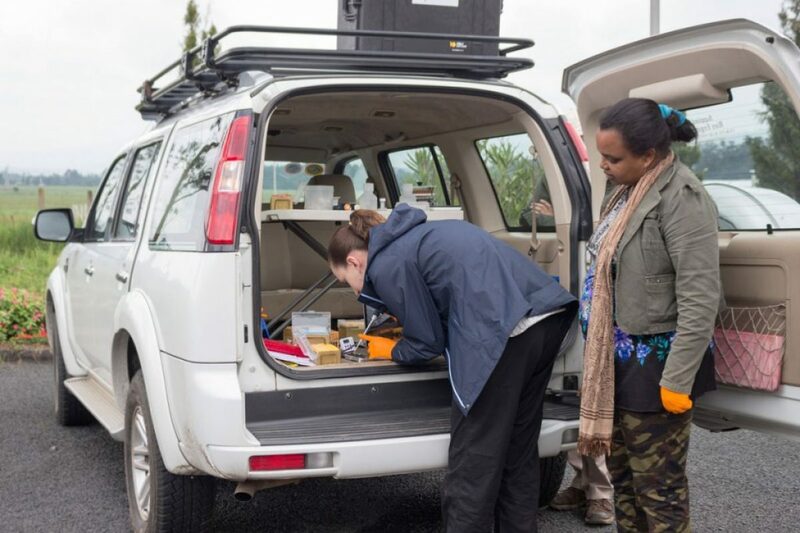 Data generated is then compared to previously identified yellow rust strains to define the strain and monitor its characteristics such as development of fungicide resistance. 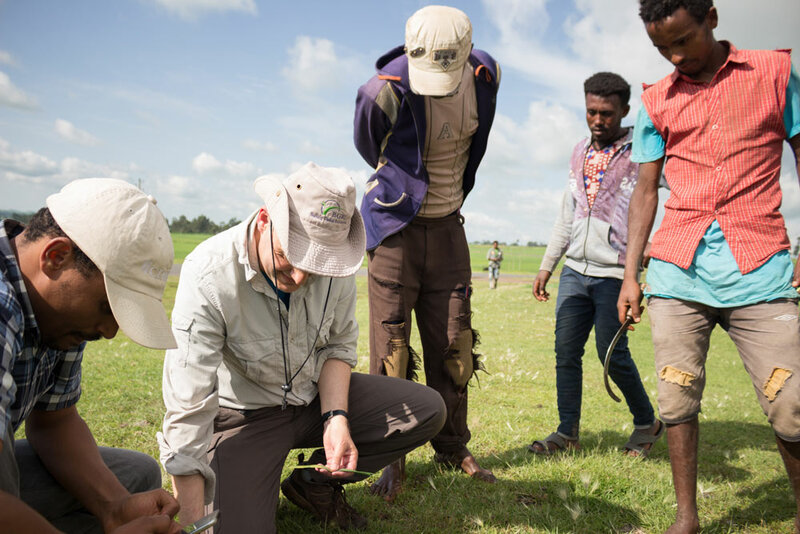 For a farmer or field researcher in Ethiopia, without knowing the precise identity of the disease, the only option is to apply less effective, non-targeted general controls. The result is not just a loss to the individual but a larger scale crucial shortfall in monitoring disease composition which informs wider outbreak prevention strategies. 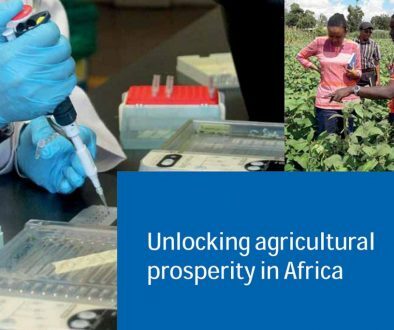 If we are to effectively respond to growing disease pressure at the scale required to maintain food security, it is vital to enable rapid high-resolution diagnostics and surveillance deployable by the scientists most connected to the issue; the researchers in field. -Dr. Dave Hodson, rust pathologist at CIMMYT in Ethiopia. 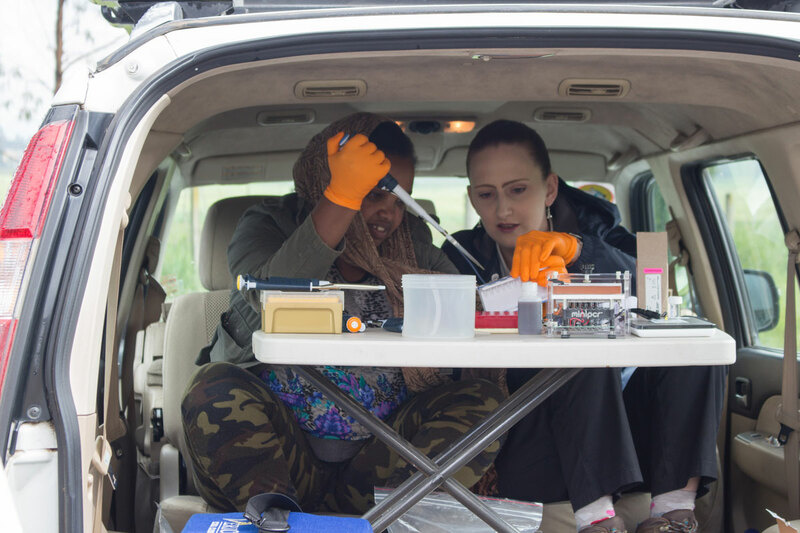 MARPLE Diagnostics is a suitcase sized lab set up that contains the whole of the diagnostic pipeline and can run effectively even in the absence of stable electricity. The MinION itself is but one piece of the pipeline. 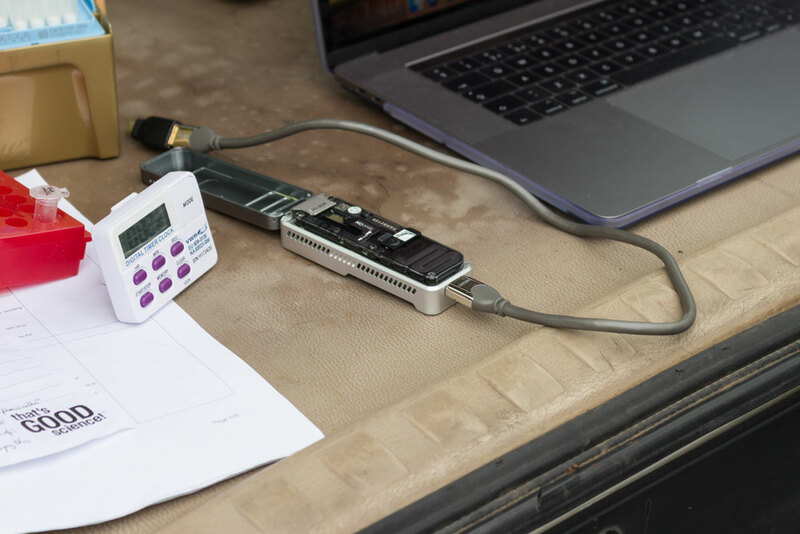 Recreating the entire pipeline process as a mobile platform requires optimising each step of the process, from sample preparation to strain identification, for field lab use. 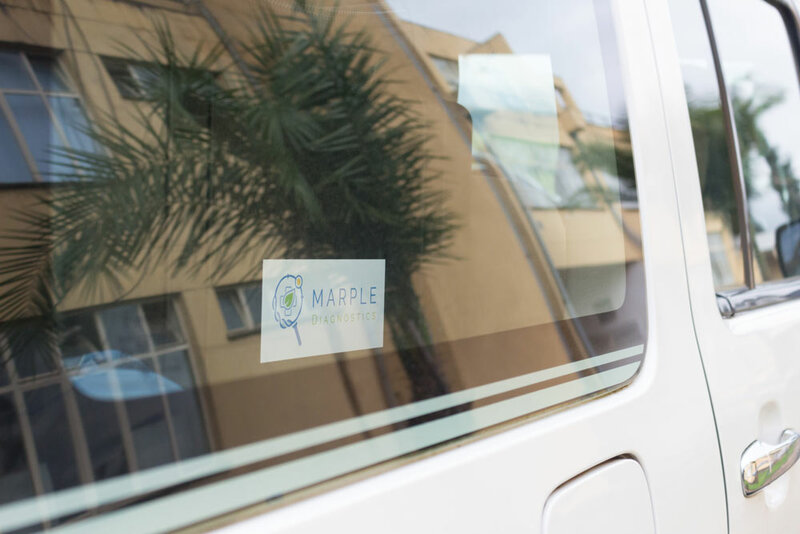 MARPLE offers a system that gives control back to the field researchers paired with a set-up designed for proliferation. If we are to face the growing threat of emerging crop diseases, we cannot rely on a small number of well invested labs. 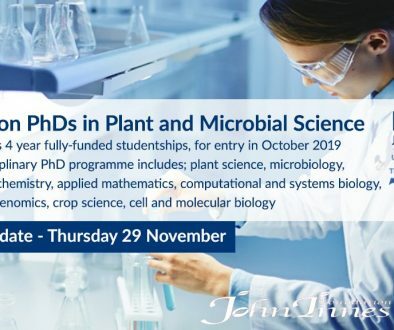 Instead, new field pathogenomic approaches such as these demonstrate mobilisation of the scientific community can now be achieved on a wider scale. Scale and frequency of agricultural diseases are increasing with modern food production systems. The challenges are complex, mercurial and widespread. With improved rapid surveillance of the threat, we can discern food security strategy and respond in time. These recent field trials offer a notable step towards this aim. 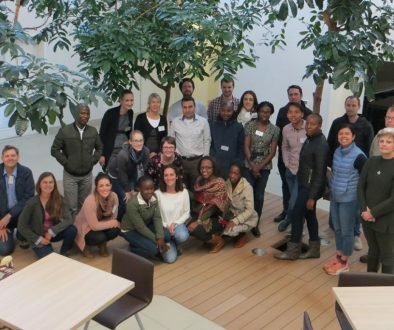 This project was funded by the Biotechnology and Biological Sciences Research Council (BBSRC) and CGIAR Big Data Platform Inspire Challenge. Communication support was provided by the BBSRC Excellence with Impact Award to JIC and the Delivering Genetic Gain in Wheat Project led by Cornell University International Programs that is funded by the UK Department for International Development (DFID) and the Bill & Melinda & Gates Foundation. 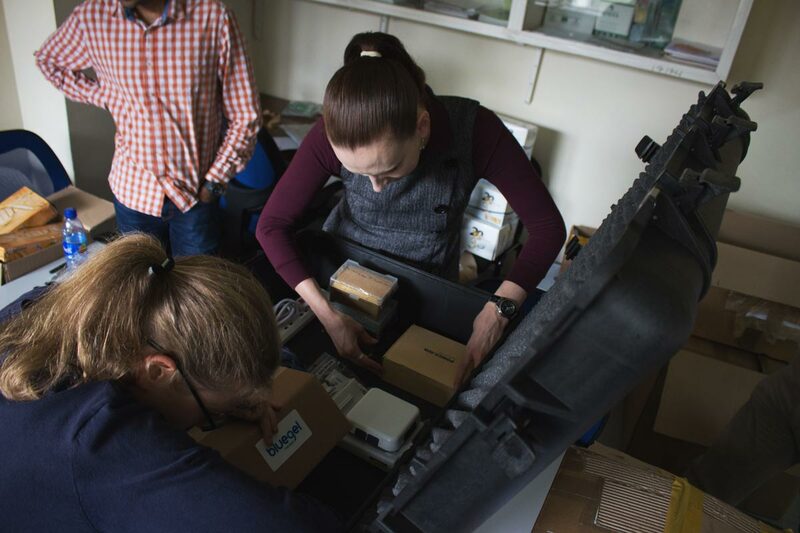 Packing the MARPLE Mobile lab at CIMMYT, Addis Ababa. 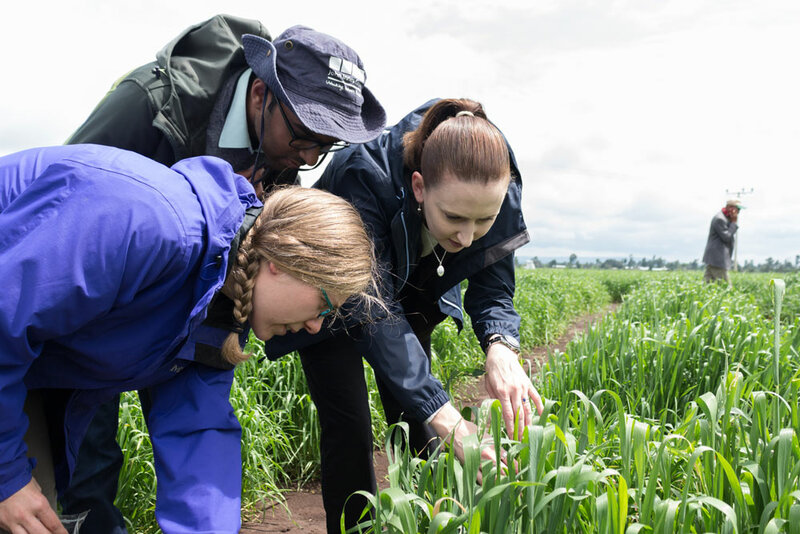 Guru Radhakrishnan and Nicola Cook with Diane searching for wheat rust in the field.